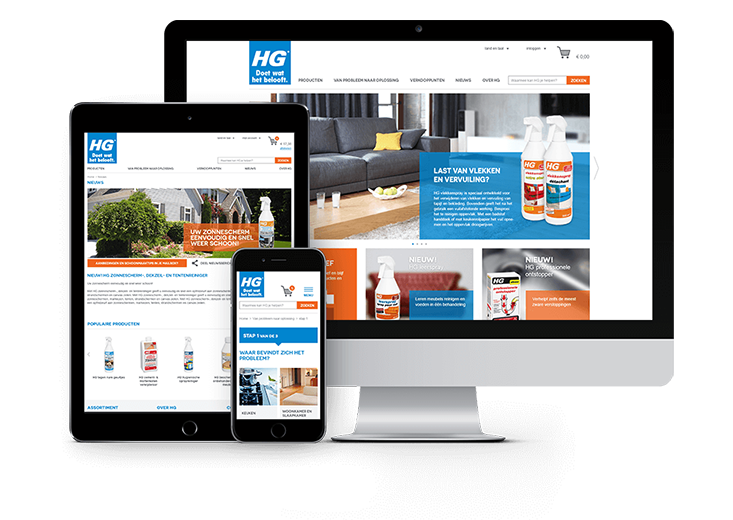 In collaboration with HG we are making a global webshop where consumers can order HG products and check latest promotions. 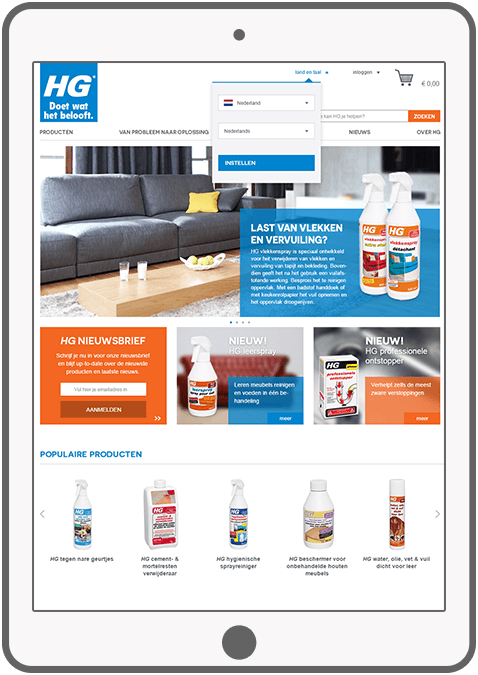 In the longer term, it will also be a platform where consumers can search for information and tips about the use of all HG products. 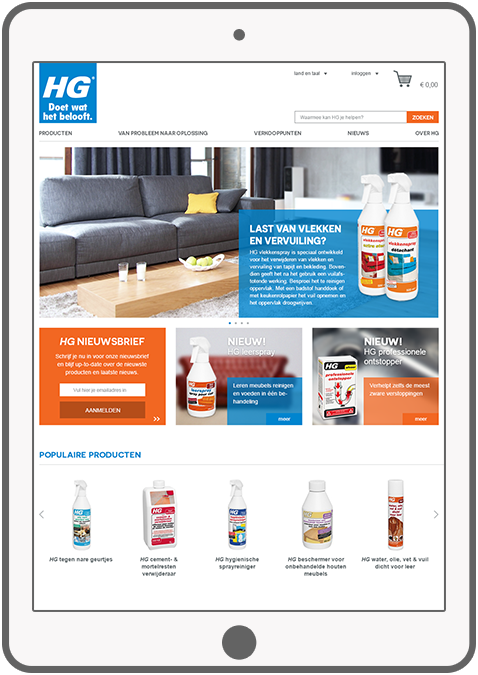 DTT is also responsible for the redesign and restyle of the current store. The shop will be responsive, which means it will be properly displayed on desktops, phones, and tablets. 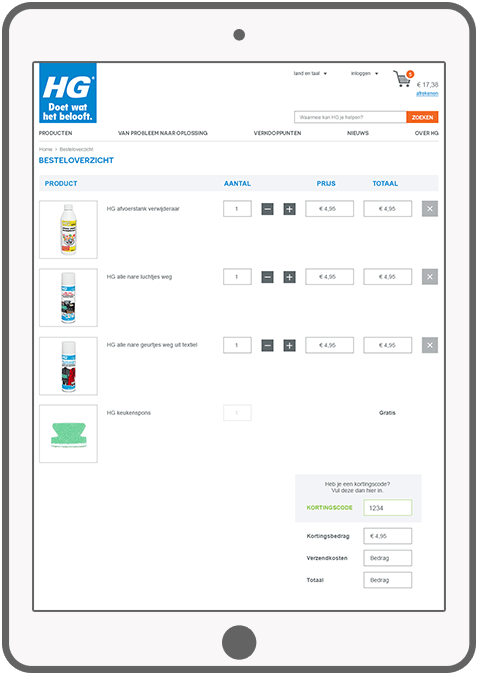 Apart from the webshop, we have made other projects for HG, see HG order app, HG sales app and HG order portal. Visit the HG website for more info. 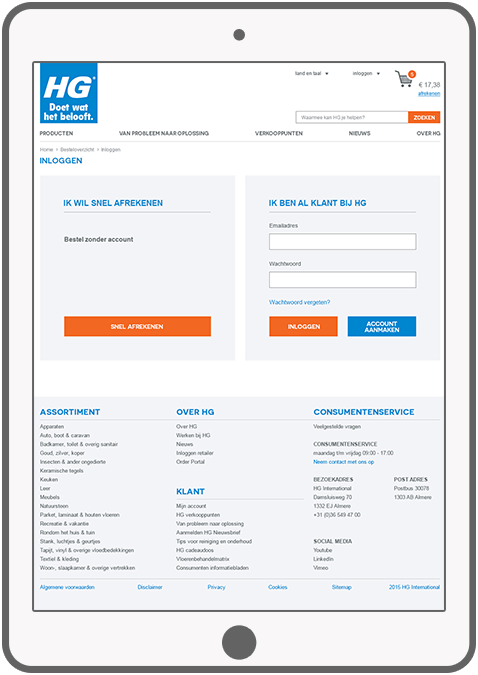 Users can place and order via the website. 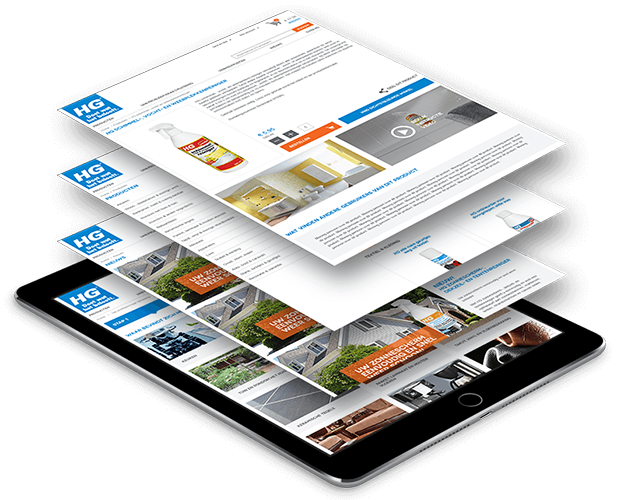 Special offers and promotions from HG are shown on the homepage. 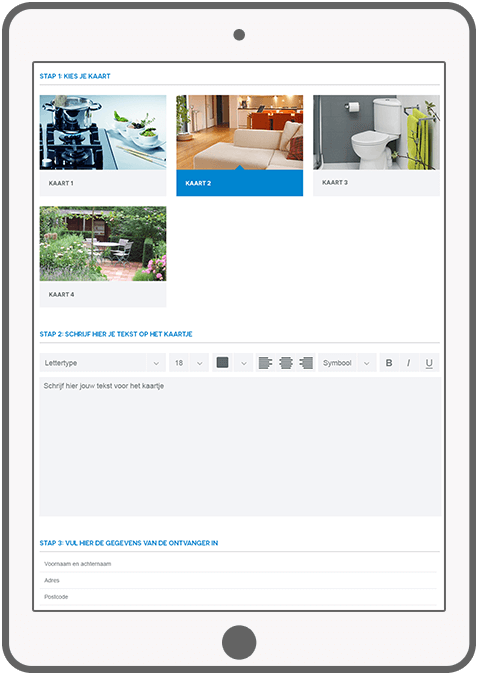 Specific products have photo and video instructions with a detailed explanation of the product use. 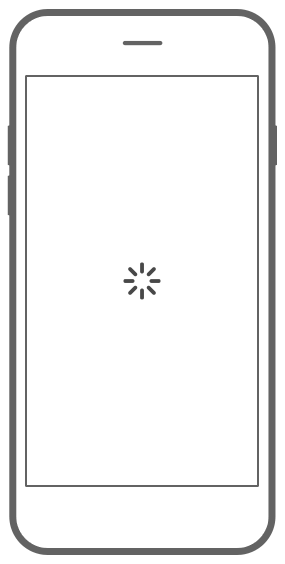 Through a clever roadmap, users can identify their problem. HG will give information about how the problem can be solved using HG products. 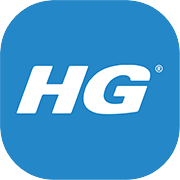 Log in using your personal HG account. An overview of useful tips for every product and a general overview of the tips of the week. An overview of all HG outlets including a link to the website. Overview of news on the product development, launching new products, stores and techniques. With the gift box option, it is possible to put together a package of products with a personal card attached. The whole package can be delivered to an address of your choice. 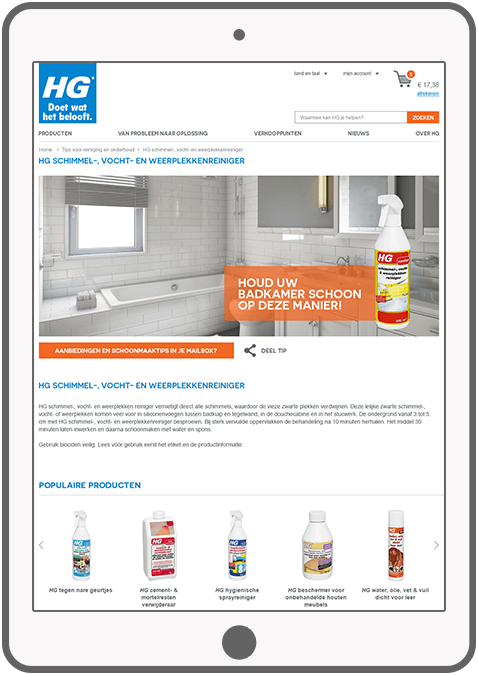 The webshop is available in multiple languages. "We were looking for a specialist, that could guarantee speed, transparency and quality of service and product and think along with the client! 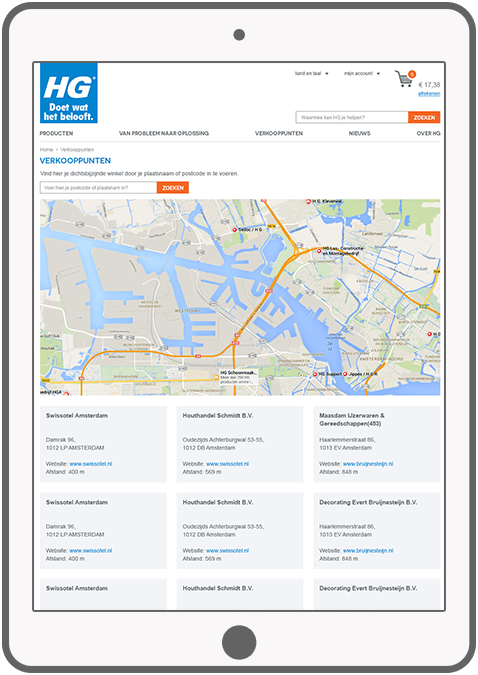 DTT has managed well to deliver the first project, a sales app for our international branches. 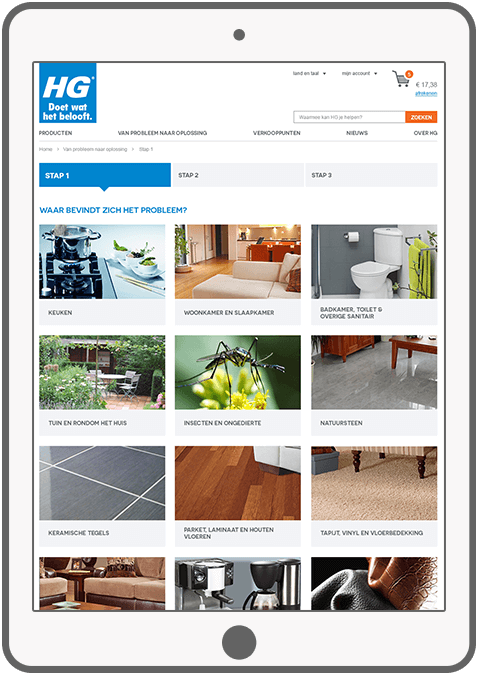 We decided to give our second project, a web portal for our international customers, to DTT as well. I am curious whether DTT will manage to succeed here. After all, as they say "You're only as good as your last game", so you have to prove yourself over and over again! Project 3 (a second Sales app) and project 4 (a complete new website) are still on the drawing board, so .......!? " 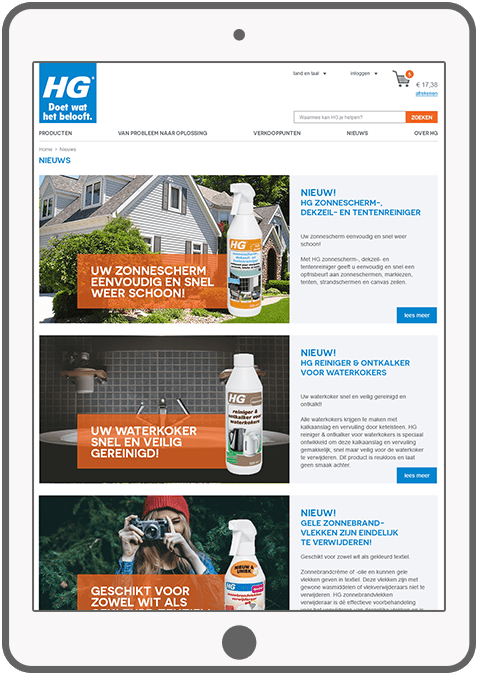 DTT blog: HG Webshop: Is now live!